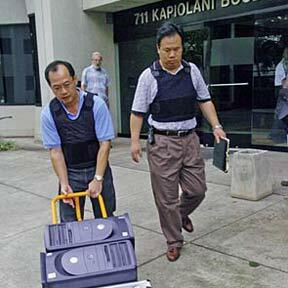 Police officers hauled off computers yesterday from a city office at 711 Kapiolani Blvd. as part of a three-year criminal investigation into Mayor Jeremy Harris' election campaign. It was the first raid of a city office by the investigation.